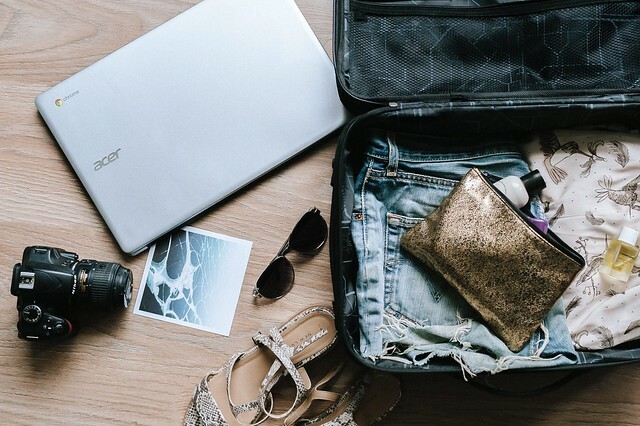 Whether you’re an amateur or an expert international traveler, trips abroad usually take much more planning than your typical trip within the U.S. All of the additional moving parts can be overwhelming, but if you carefully anticipate as much as you can in advance, it will make your trip go much smoother. So many questions will go through your mind before you visit a new country. Is it safe for you to use a credit card? Should you book a hotel or a hostel? Where should you go while you're there? Take note anytime you have a question so you can research and prepare ahead of time. Read on for ten things you should consider when planning an international trip. Before you begin planning an international trip, determine how much money you're willing to spend, then create a travel budget. Know how much you’ve allocated towards accommodations, food, entertainment and airfare. If you have a budget, you’re less likely to go over it. You can even utilize online budget tools that will help you customize your budget based on your destination. Make sure your credit card is going to work in the country you plan to visit. If you have a card secured with a chip, you’re less likely to have issues than if you have a card that only uses a magnetic strip. Give your bank a call before your trip to let them know you plan to travel abroad. This way they won’t be alerted of any unusual charges they see, then turn your card off as a precaution. Don’t bring valuables with you, unless you want to risk something happening to them. Expensive jewelry attracts thieves, and most of them target tourists who are unaware. If you do travel with valuables, keep them with you at all times, and lock them in a safe if otherwise. Hotels are not the only option, especially when you’re traveling overseas. Consider a hostel or Airbnb so you can have a more local experience. Many hostels also provide complimentary meals, Wi-Fi and some even on-site language classes. There are many things to consider when choosing where to stay, but the main difference is whether or not you want to feel like a tourist or a local. If you plan to spend lots of time indoors, a hotel may be the route for you so you can enjoy all of the amenities that come with it. If you want to explore your new surroundings, go for a hostel or Airbnb. Just make sure you weigh out all of your options before making your decision. Evaluate the purpose of your trip to help you decide what kind of experience you’re looking for. If you visit a destination during its peak time, it can totally affect your overall experience in either a negative or positive way. The more tourists, the more inflated prices will be. This includes airfare, accommodations, activities and more. Do some research beforehand on peak travel times for the countries you’re interested in visiting. If you’re not a fan of large crowds and long lines, perhaps you’ll enjoy a visit out-of-season. Go ahead and register your trip online through the U.S. Department of State – free of charge – in case of an emergency this way your itinerary will be documented, and the U.S. government will know where you are and how to contact you. Using a cellphone abroad can be very expensive, so most people don’t have that option. If your hostel, hotel or Airbnb have Wi-Fi, you can always connect back home with that, but if not, get yourself a prepaid SIM card or check with your carrier to see if you have free Wi-Fi calling. If this isn't an option, download messaging apps as a back-up before you leave the country. Visit the Centers for Disease Control and Prevention so you can find out the vaccination requirements for your destination. Allot time to visit your doctor so you can receive maximum protection before you leave the country. Always plan for the worst-case scenario when you travel abroad. Take photos of your passport, license, travel itinerary and other important documents, then email them to yourself. If you lose your phone, you’ll have access to these documents from any computer. It’s also smart to save a PDF of important documents to your phone, so even without Wi-Fi, you’ll be able to access them in case of emergency. Depending on your travel destination, it may be necessary to purchase emergency medical insurance since your health insurance likely doesn't cover you while traveling abroad. You should also purchase trip interruption or cancellation insurance for trips that require a large down payment. Unless you enjoy living on the edge and potentially losing lots of money, protect yourself with travel insurance. Carefully plan your trip abroad by considering all of the above. You’ll save yourself stress, time and money if you’re prepared beforehand. You don’t want to go on a relaxing vacation only to find you’ve underprepared with your budget, the wrong methods of payment or a lack of communication back home to your loved ones. Set yourself up for a successful and stress free trip with these ten considerations. I have yet to travel internationally, but I do think a lot of the tips mention will work for traveling in general. I know I have used Airbnb a few times and the experiences is much more filling than staying a hotel. Awesome tips here as we rev up into travel season! You are a pro! These are great tips to keep in mind before traveling. Sometime we are so busy planning that we forgot these details. And with the summer vacations around the corner, this is a very relevant post to publish. Thank you. These are some really great tips. I especially like the one about not bringing anything valuable. You never know what could happen. I had a ring break while on a trip, took it to the jeweler to get fixed, and they magically lost it. That would not have happened if I left it home. I've never planned an international trip so these are all SO helpful. Thanks for sharing! I travel internationally quite a bit but that tip of registering the itinerary is golden! I would’ve never thought to do it! I’m going to look into this before my next trip! These are some amazing travel tips. Vaccination and medicines are so important. These are awesome tips!! I didn't know about registering your trip. Will have to keep that in mind for next time! These are really good tips! I feel like knowing what you are getting into is so important for traveling internationally. I’ve never traveled abroad, so this is something I’ll have to keep in mind when I finally get a chance to go! Thanks for sharing! Definitely need to set a travel budget next time I go out of the country. I went to Morocco a few weeks ago and spent way too much money! Great travel tips! These are such great tips! Definitely bookmarking this post! These are great tips Tanvi. I particularly like the idea of registering your trip, that is such a handy idea in case of emergencies! Such great tips for international traveling. Tip 2 is very important. I once used my card in a different country, and it was deactivated because I didn't let the card company know first. Oops! I never even knew that you could register your trip with the Department of State. You've really got to cover all of the bases when traveling abroad. Even little things sometimes can slip through the cracks, great list and wonderful information! These tips are definitely must do for an International trip! I travel internationally only once per year now that I have young children, I've done the way Switzerland Argentina 50 times since 1998 but still need a lot to prepare every time! Excellent tips! I have been thinking of taking my first international trip really soon, so these tips will definitely come in handy. I think all are equally important for a first time traveler. Vaccination and medicines are so important when traveling, These rae really a great guide. This post has so many great tips that I definitely forgot about a few of the times I traveled internationally!! This is the perfect guide! this post is exactly what i needed! such great tips! Such great tips to follow! I'm planning a trip to Italy (probably next year) and this post will really come in handy.